Watch your favourite video songs and movies in video player. It supports MPEG4, H.263, H.264, 3GPP file types. Listen to your favourite songs in music player. It supports MP3, AAC, eAAC, eAAC+, WMA, WAV, M4A (Apple lossless), AMR etc. file types. It really is a close call between the Lumia 710 and the Omnia W. If you started here , you'd think there's no story to tell. Of course, it's the (sometimes minor) details that set these virtually identical phones apart. 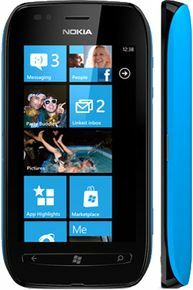 The Nokia Lumia 710 has to share what's left of the spotlight with its Lumia 800 sibling - the one with the fancy unibody and AMOLED screen. Looks aside though, the two aren't that different and the 710 does come cheaper. Exclusive apps promised in future. No 4G or hotspot option. I just hate this battery thinking to get a new battery but m afraid if it will produce the same result as the one m using now. For downloading images its perfect.... While for music and videos downloading its totally impossible without Zune account. Once you forget the Zune account information its all over. Cannot even use other aprps to download music and videos to store them in the phone. . The rest of the features are just wow. overall a good phone , i m using it from past 1.5 years without any problem . this is a phone only good looking ..
Snapdragon 730G vs Snapdragon 730 vs Snapdragon 710: What's Different?